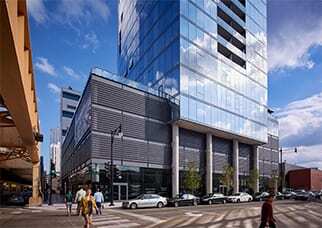 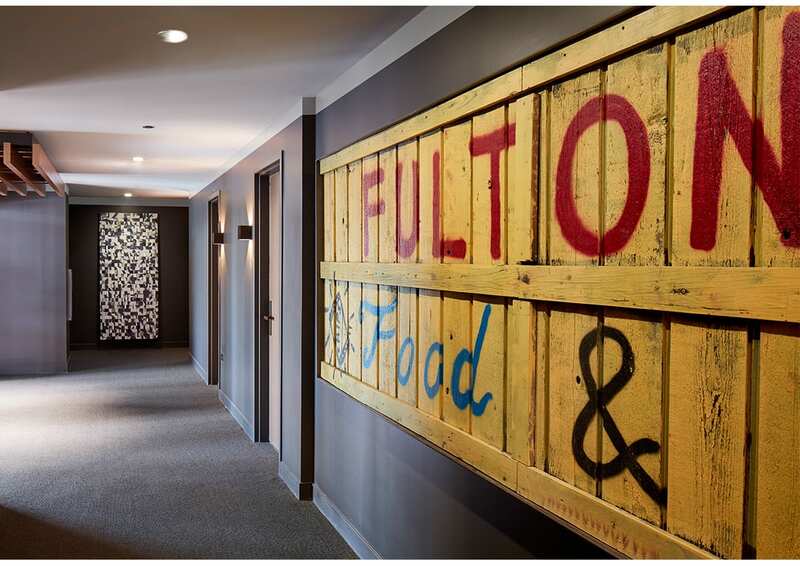 At 29 stories, The Parker is the first luxury apartment tower in Chicago’s burgeoning Fulton Market District. 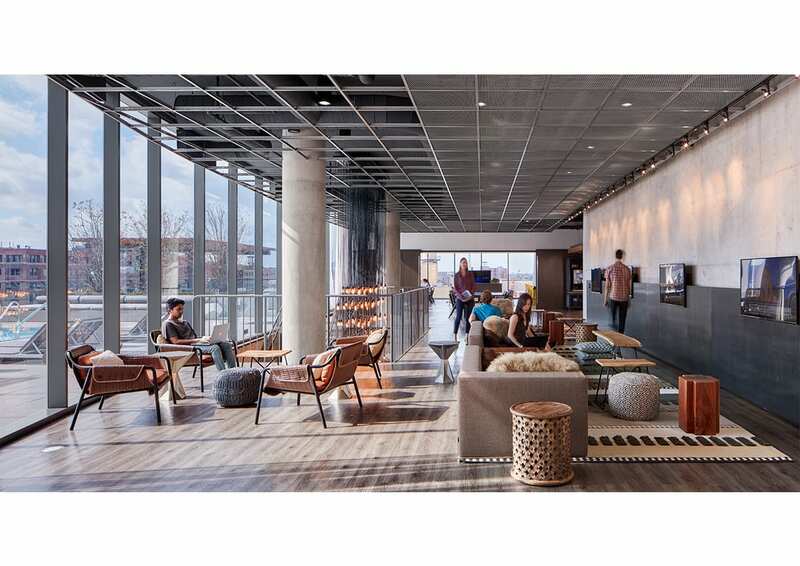 Its design aesthetic merges a modern curved glass tower with character-giving elements found in the former meatpacking district. 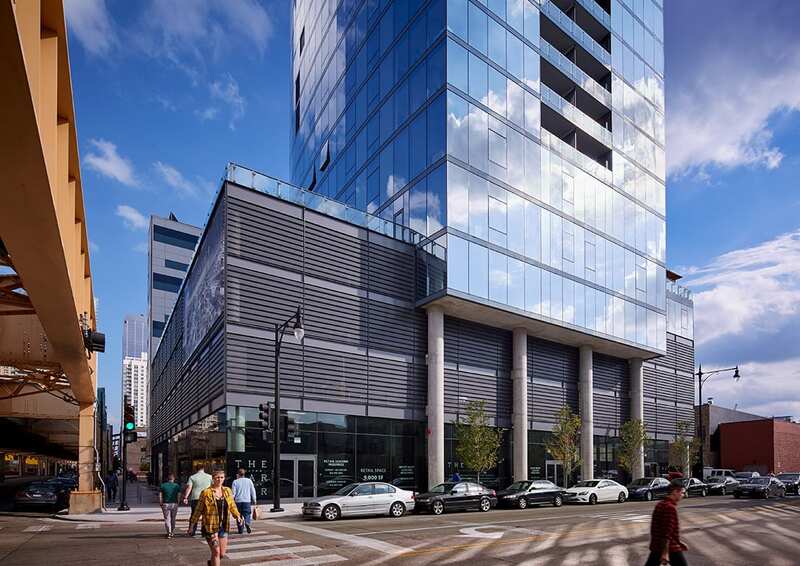 Tightly sited between the CTA elevated tracks and adjacent structures, the project provides 227 residential units, 159 parking spaces and retail. 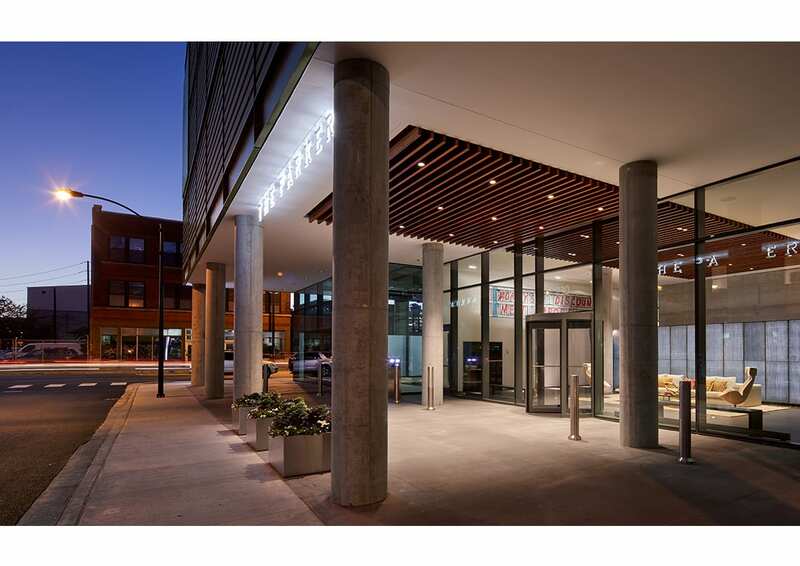 The design avoids the typical base and tower typology by engaging the glass façade and columns with a setback podium, which provides a wide landscaped pedestrian walk adjacent to retail. 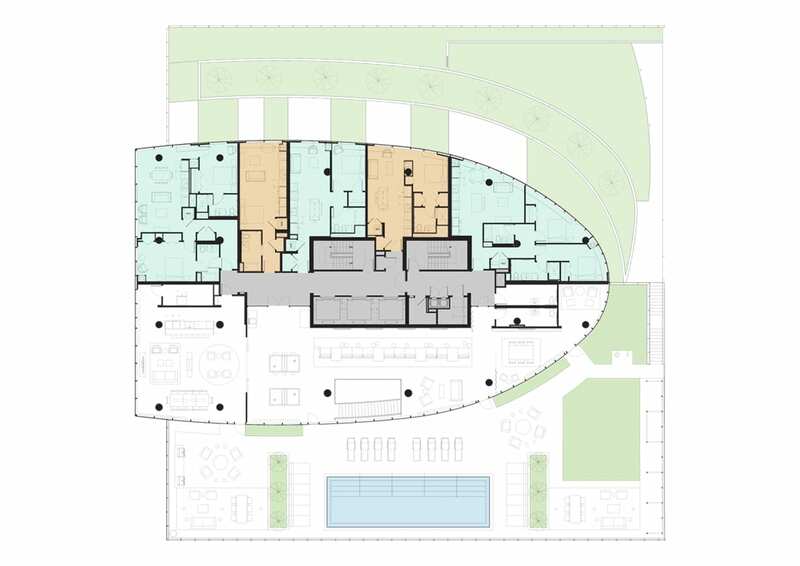 The entry and lobby are tucked away on the semi-private Couch Place, maximizing retail frontage. 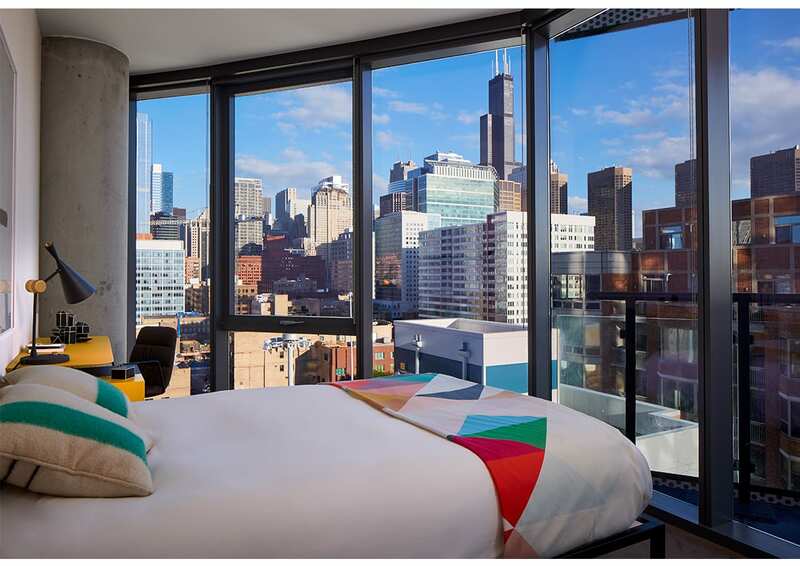 By orienting the tower on an east-west axis the plan takes advantage of Lake Michigan’s shoreline angle, providing panoramic lakefront and downtown views to the majority of residents. 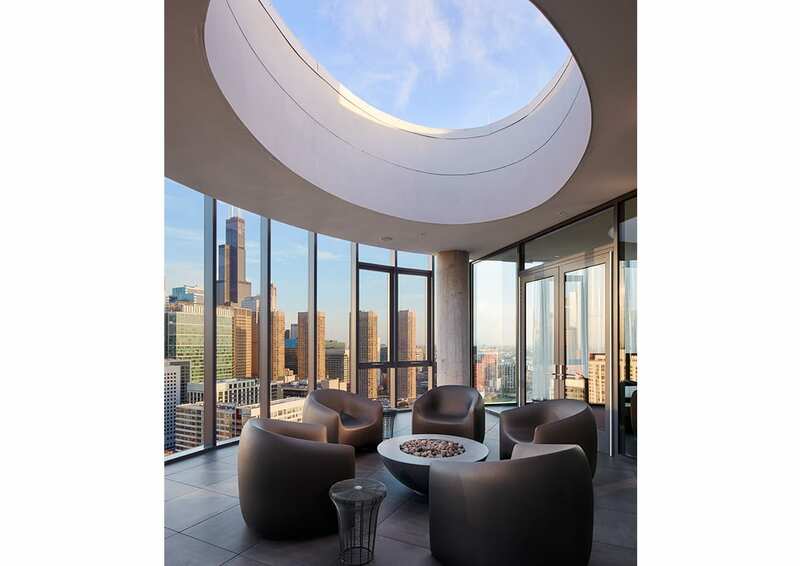 The curved shape augments this expansive view. 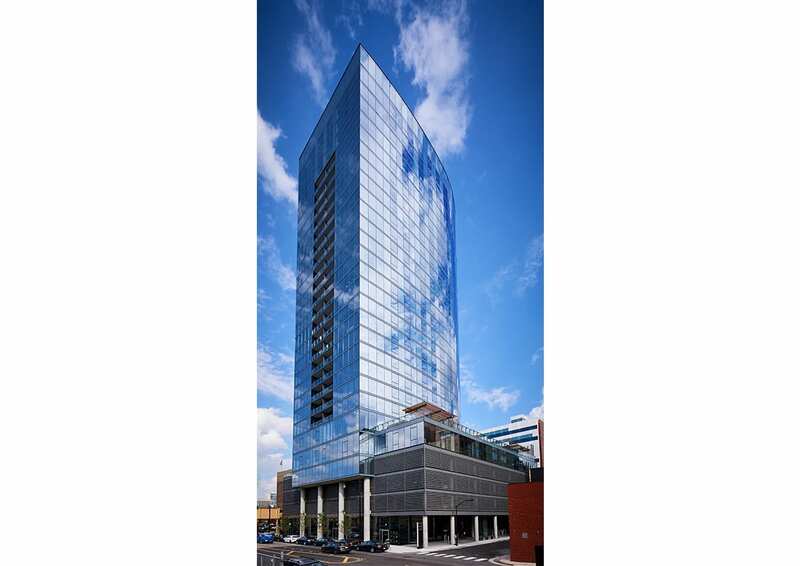 Patterned glass slab spandrels contrast with the windows and accentuate the tower’s geometry. 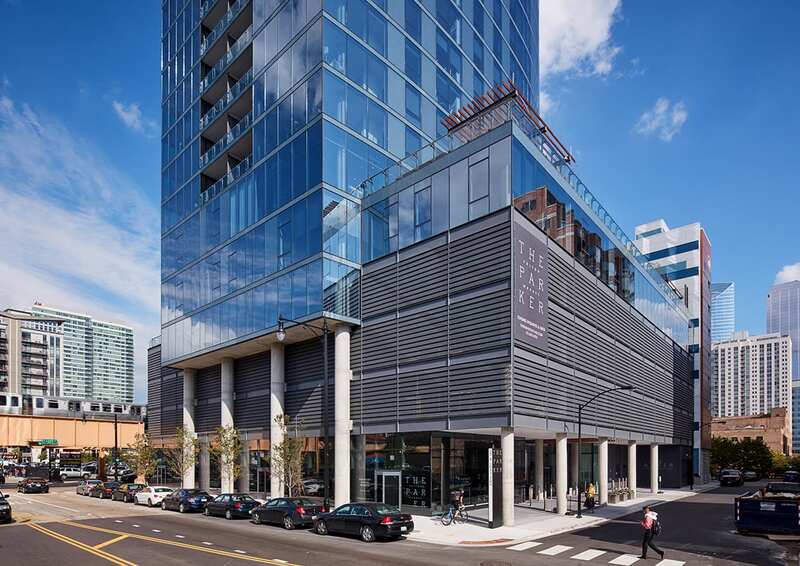 This detail extends to the balcony railings and perforated metal panels on the garage, referencing the industrial aesthetic of the Fulton Market District. 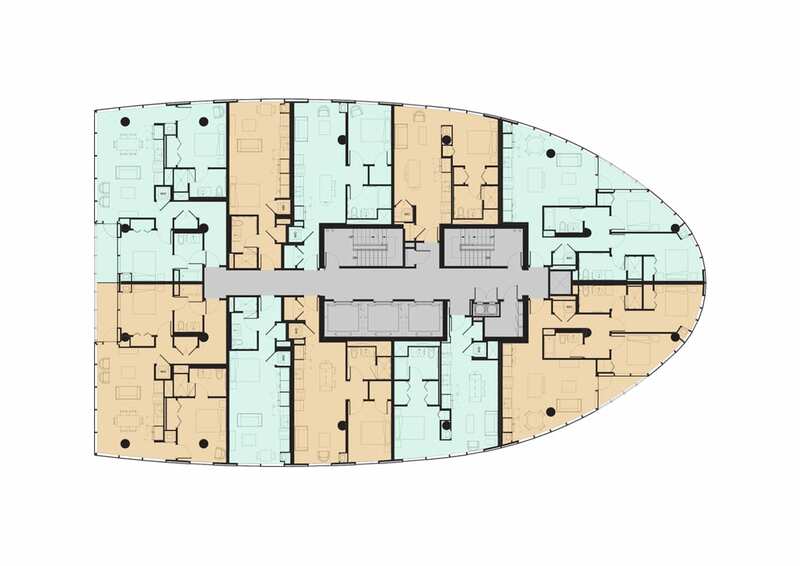 Extensive amenities include a common lounge area/party room, gym, yoga studio, dog walk, outdoor swimming pool and landscaped terraces. 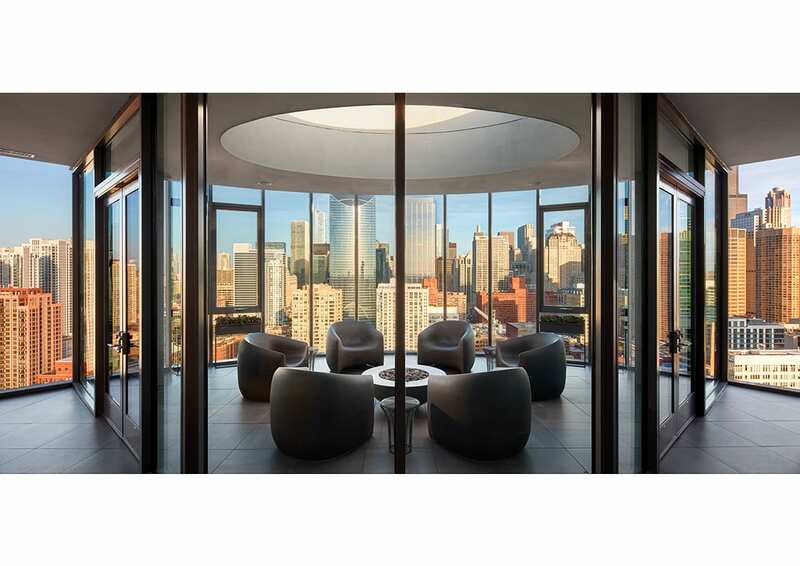 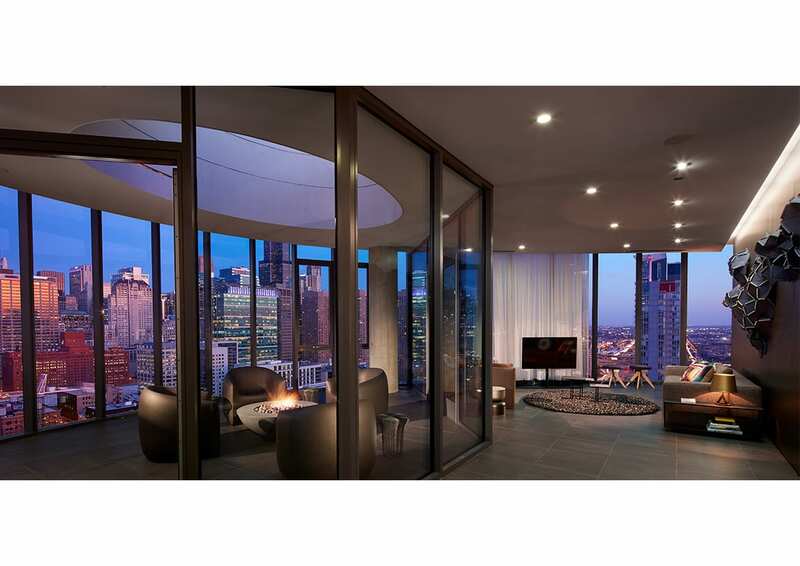 A penthouse lounge with semi-enclosed deck offers spectacular downtown vistas. 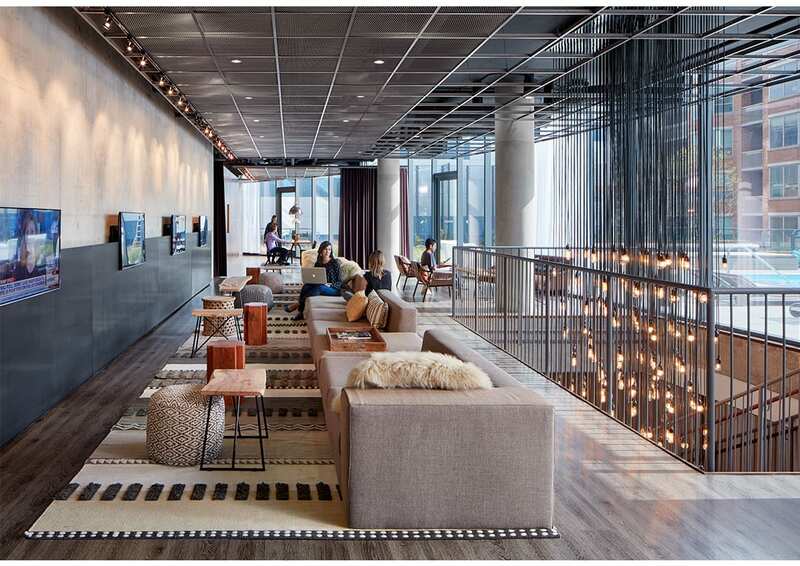 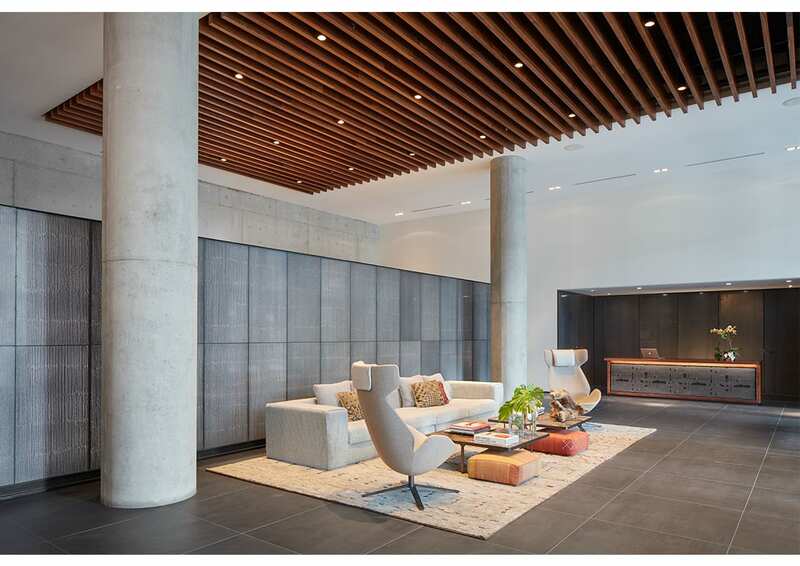 With a high-performance building envelope, green roof elements, sophisticated HVAC/lighting controls and extensive access to public transportation and urban amenities, The Parker is LEED Silver Certified. 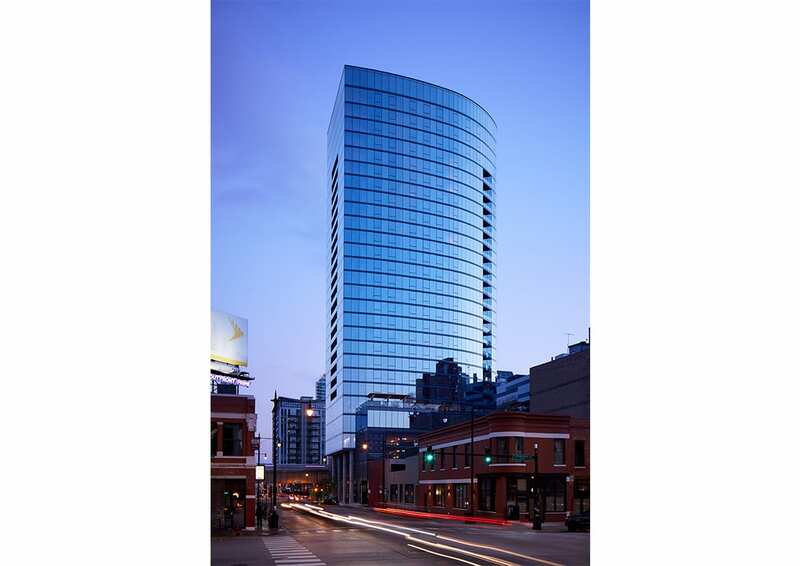 The building has enjoyed tremendous lease-up activity since its opening and after one year is almost completely leased.